Best Task Killer Apps for Android lists some useful Apps which can be used to force close automatically running Application to free up memory for active App. The idea for development of Task Killer Apps for Android is nothing new – from Nokia Symbian days, third party apps are used by the advanced users for the same purpose. 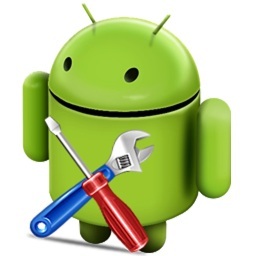 We have shortlisted some useful Apps in our Best Task Killer Apps for Android list. Please do not install and run more than one App simultaneously on your Android device from this Best Task Killer Apps for Android, more than one App can paradoxically slow down your device. You can type or copy any name of the Apps listed in this list of Best Task Killer Apps for Android and search it in Play using the Search function. Advanced Task Killer : Open this tool and take a look at the running applications list? Uncheck some apps you don’t want to kill. Automatic Task Killer : Kill tasks and processes automatically. Saves battery and speed up your phone. Advanced Task Manager : Kill tasks,free memory,speed up phone,save battery. Process Manager : Kill tasks,free memory,speed up phone,save battery. Droid Task Manager : Do you want to improve your phone more responsive? AutoKiller PRO : Speed up your rooted phone and get decent battery life with AutoKiller. AutoKiller Memory Optimizer : AutoKiller Memory Optimizer speeds up your rooted device. ES Task Manager : ES File Explorer for Android is a free, featured all-in-one file manager, ES Task Manager could be integrated in ES File Explorer – acts as application manager & task killer & dropbox client & ftp client which explores your phone and your computer. We hope you can enjoy some of these Best Task Killer Apps for Android. This Article Has Been Shared 7609 Times! Cite this article as: Abhishek Ghosh, "Best Task Killer Apps for Android," in The Customize Windows, May 11, 2012, April 20, 2019, https://thecustomizewindows.com/2012/05/best-task-killer-apps-for-android/.